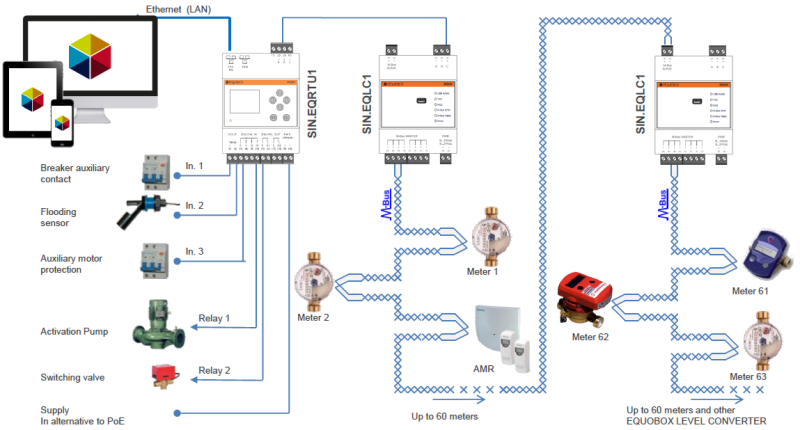 Datalogger for meters with M-Bus protocol. SIN.EQRTU1 is a system of acquisition, processing and recording of data from devices that use M-Bus protocol standard such as meters. For the connection to the M-Bus network requires the use of one or more SIN.EQLC1 devices. The system is capable of handling up to 250 M-Bus devices and ensuring the storage of daily readings for up to 10 years. 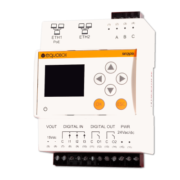 It allows meter readings, report generation, querying of historical readings, setup of the M-Bus network and local I/O managing, through a web interface. The system also features a graphic display for setup and reading consultation and I/O status without PC. 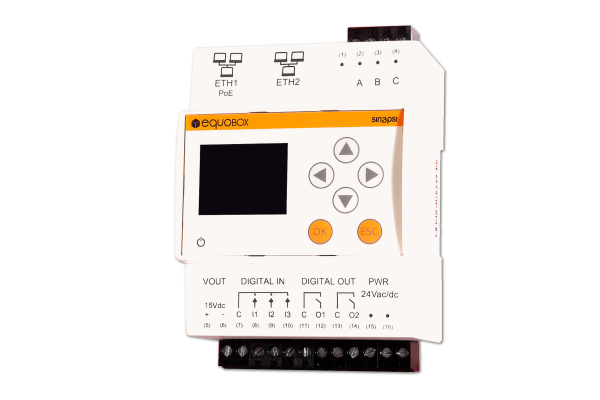 It even offers three digital inputs and two relays which can be defined logical AND/OR and sending emails. The graphic display allows the user to set up the metering system in just a few simple steps, all of which are prompted by a convenient setup wizard. All the settings linked to the system’s functionality are performed locally on the display or via WEB interface. When connected to the internet, the device’s web interface automatically checks for updates and allows the user to proceed with a simple click in web interface.